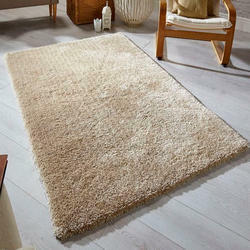 Exporter & manufacturer of microfiber shaggy rugs. Owing to our vast experience in this domain, we are engaged in offering a wide range of Microfiber Shaggy Rugs that is available in various sizes and vibrant colors. These rugs are manufactured by our adroit professionals, who have in-depth knowledge about the latest market trends.